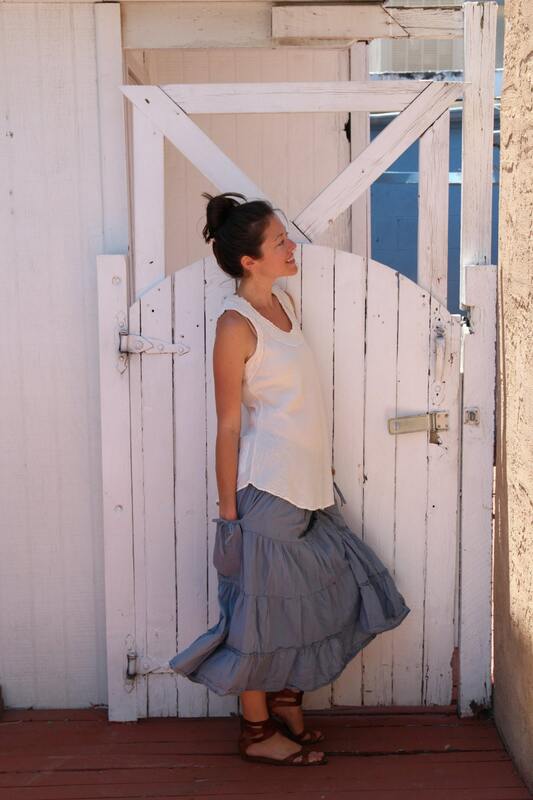 Gauze Tiered Skirt in DUSTY BLUE // Pockets, Natural Fiber, Flexible Waistband, Choice of Length / Breathable Elegance! 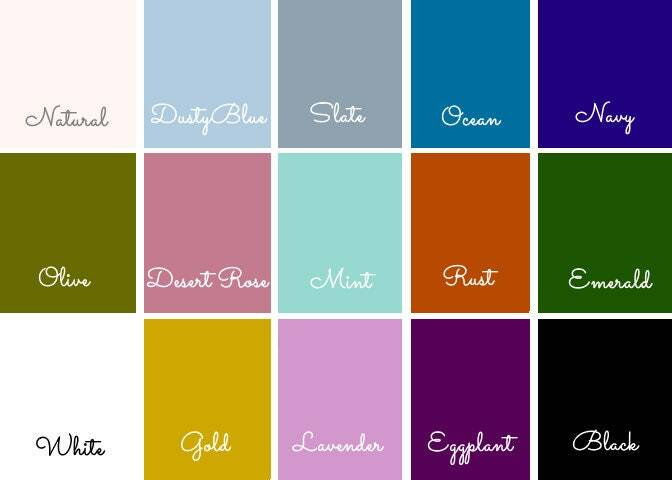 My second of the same skirt - because I wear it so often I wanted another colour! So comfy and pretty. I love it! Love these skirts! very versatile. Can also be worn as a strapless sundress, which I love. I’m 5’4 and ordered the 30’ and the skirt goes halfway down my calf and pulled up as a strapless sundress it goes just below my knees. Very light and breathable. I will definitely be ordering more! Also very impressed with the timely shipping. Love these clothes! They have become staples of my daily wear. So at first.... I thought I was too short to pull this off. 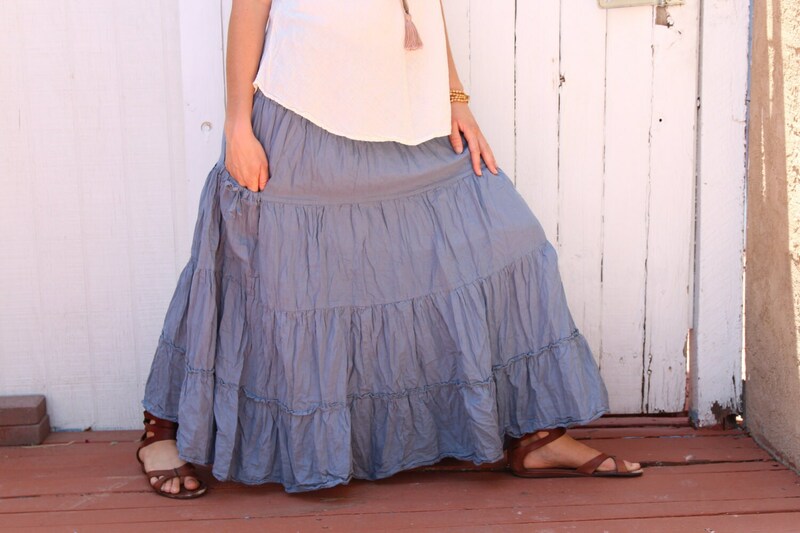 These gauzy, full skirts look best on tall, slender ladies, which I am not. My short, athletic frame usually gets lost in too much fabric. HOWEVER - I LOVE it!!! I have worn it at least 5 times since it arrived, pairing it with flip-flops and cropped tees. It is very well made and super light. I love the little inside "slip" to keep it from being sheer. Happy dance. Thank you so much! Lovely skirt! Great quality, packaged quickly and with care! Also fits very comfortably with a baby bump! ❤ Thanks!